Hello everyone and welcome to the first of a monthly series I will be posting, Inspiring Humans. We find inspiration on a daily basis in many forms. For some of us it’s motivational quotes we see on social media. For others it’s touching stories we see on the news or read in the paper. And I know many of us have been inspired by another person at some point or another. During my quest for health and my journey to become the best damn Ariana I can be, I’ve been inspired by A LOT of people. These people have motivated me to push myself through tough runs. They’ve inspired me to get out the door and hit the gym when my bed looks WAY more enticing. And whether they know it or not, they’ve given me the push I need to go out there and create what I want. And I’ve realized it’s not fair for me to keep these people all to myself! I want you to learn about these awesome souls so maybe they can inspire you to get out there and get what you want from life. So today I’m shining the light on my InstaFriend-turned real-life friend Richard Maya. I met Richard through Instagram; I’m not sure who started following who, but in the time that we’ve been connected (I’d say about a year and a half or so?) I’ve watched Richard crush his goal of completing THIRTY SIX half marathons in a year, and he’s on track to demolish this year’s goal of running four full marathons. So without further ado, let’s find out what makes Richard, Richard! Ariana Fotinakis: How long have you been running for? 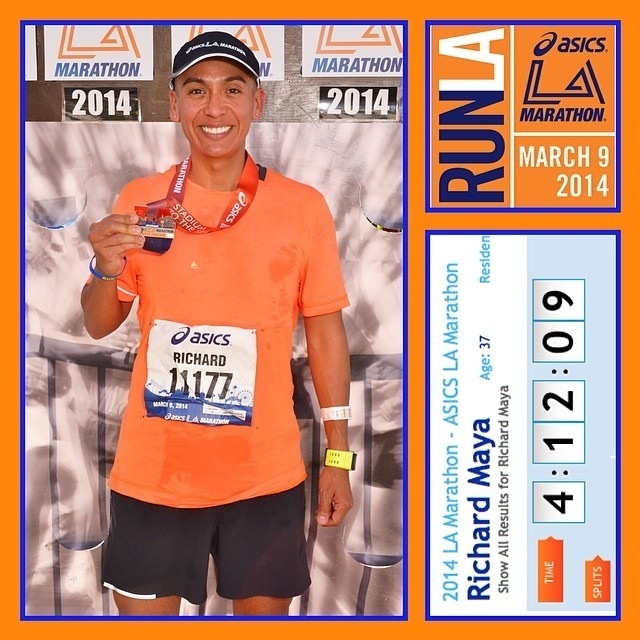 Richard Maya: My first half marathon was September 2, 2012 – I started training about 3-4 months prior to that race…so I have only been a runner for over two years. AF: What inspired you to run all these races? Was it something you set out to do right from the get-go, or somewhere along the way did you think “hey, running races is fun! Let’s see how many I can do this year”? 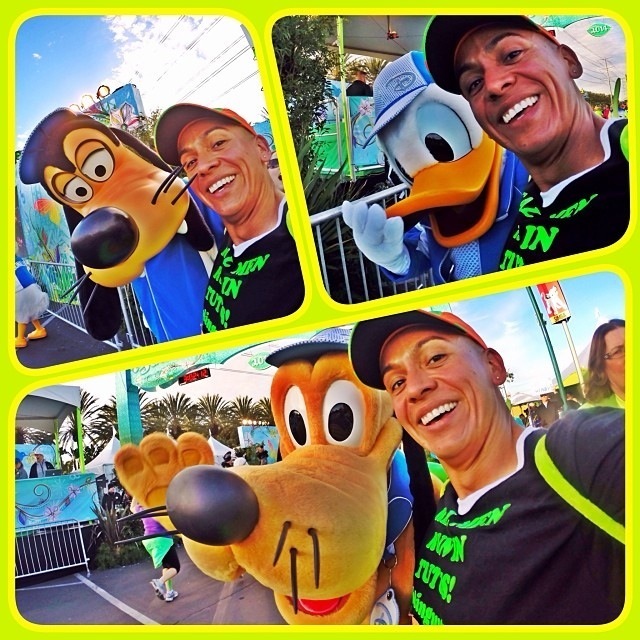 RM: In January 2012 a friend at the gym asked me to run the Disneyland Half Marathon with her in September 2012. My initial thought was “no way, I can’t run 13 miles!” After thinking about it and talking with a couple of CrossFit friends I asked myself “why not?” – The challenge of being presented with a course, a start and finish line and not quitting became an instant addiction. I realized it was way more fun to run a race than to train on my own. Between 09/02/12-12/31/12 I ran 5 half marathons. In January of 2013 I ran 3 half marathons and made it my goal to run 3 every month in 2013 for a total of 36 half marathons. Many thought I was crazy, at times I did as well! Having completed the goal, 2013 is a year I will cherish forever! Funny thing is I often feel odd calling myself a “runner”. I don’t run often on my own, I normally only run races that include finisher’s medals – this is why I changed my Instagram name to @blingwhore. AF: How many races have you ran in total? AF: How does it feel to have achieved your goal of running all these races? RM: In the end of 2013 I was really happy to have managed to run 36 half marathons in 1 calendar year around my work schedule! It is very challenging to juggle a job that requires 40-60 hours a week, book travel, hotels, etc. I was also very fortunate to not have any injuries in 2013! At the end I knew there were bigger goals to set, including Full Marathon goals (this year my goal is to run 4 Full Marathons). AF: What’s your favourite race you’ve run so far? The most challenging? The craziest? 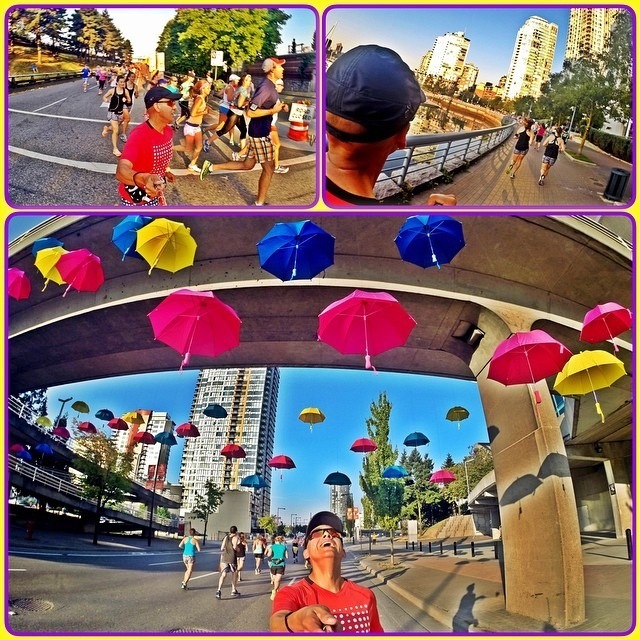 RM: Favorite race is SeaWheeze 2013! This has been my only international destination race (ran it again this year)! It is a wonderful race with a beautiful medal, excellent post-race brunch, evening festival and lots of lululemon fans!!! My most challenging half marathon is The La Jolla Half & most challenging full is the LA Marathon (keep in mind the only other full I have ran to date is the San Francisco Full). The craziest race was this year’s Costume Party Run Half Marathon. I dressed up as Mugatu from the movie Zoolander. That was a full costume including a wig and goatee combined with very hot weather! I was very uncomfortable, hot and surrounded by other crazies running in costume! AF: I know you were slightly sidelined by an injury earlier this year. Can you tell us how that affected your training and motivation? RM: While running the La Jolla Half Marathon this year, on some very difficult hills, I experienced pain on my left foot that forced me to walk! This had never happened to me before! I was very proud about running and never walking. All of a sudden I had reality slap me in the face…I am not immune to injury! I may have had an amazing injury-free streak….yet I found myself walking while everyone passed me. That was also the month in which I set a new personal record (6 half marathons in 1 calendar month). I took a month off from running & was concerned about how long my injury would affect my races. I healed and was back at it 30 days later… However, I will admit I am concerned about how future injuries will affect my race calendar. AF: Is there anything special you do to prevent further injuries from happening? If so, what? AF: What forms of cross-training do you like to take part in? What do you enjoy about them and how do you feel they benefit your running? RM: CrossFit provides fitness for the entire body! I believe CrossFit conditioned me to be able to run so many races. The tricky part with combining CrossFit and running is avoiding heavy leg work up to 2 days prior to a race – I have made that mistake and found myself running half marathons with very sore legs! 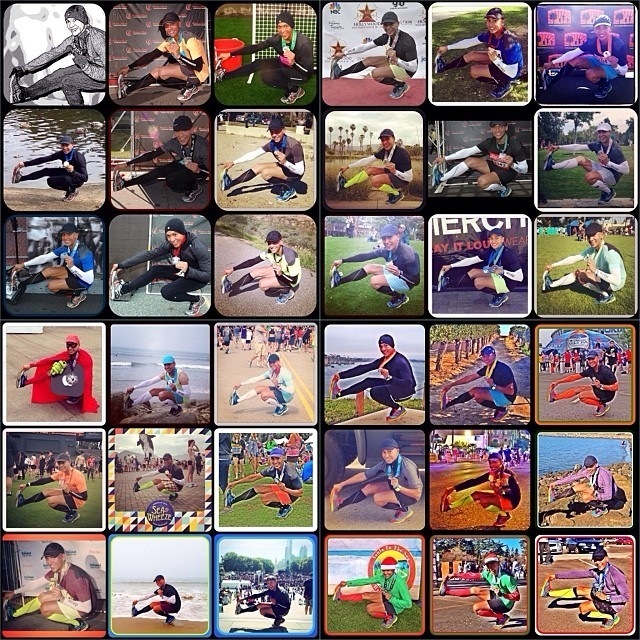 AF: Do you ever find it difficult to stay motivated to dedicate your weekends to traveling and running all these races? If so, what do you do to keep your motivation levels up? RM: I will admit there is a struggle with finding time to plan other things I enjoy (live theatre, concerts, etc.). There have been times when I find myself being exhausted – usually when I get back home from a race on Sunday afternoon and realize I need to spend every remaining minute of the weekend taking care of my life (laundry, groceries, cleaning/organizing, etc.). I don’t know exactly how I’m staying motivated – somehow I have made this addiction a part-time job. AF: What’s one thing you’ve learned during your running journey that you’ve been able to translate into everyday life? RM: When we make a goal that seems close to impossible, succeed and then do it over and over again – that once “impossible” goal becomes easy! When I’m at a start line I have no doubt I will finish… This can be applied to anything in life…with will and determination, we can reach any finish line we set our mind to. RM: In 2013, in addition to completing 40 races (36 half marathon, 2 5K & 2 10K) – I made it a goal to do a CrossFit Pistol (single leg squat) while showing off my finisher’s medal. 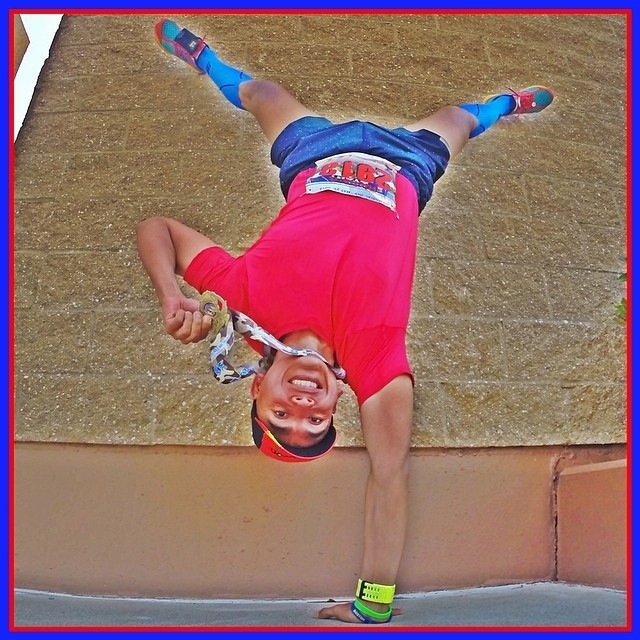 In 2014, I will run over 50 races and it is my goal to do a single hand wall handstand while holding my finisher’s medal with my free hand! AND last but not least, we have winners from last week’s AMRAP Nutrition giveaway! Radically Fit, Maria, and Annmarie, I will be in touch to get your mailing info. Thanks to all who entered! 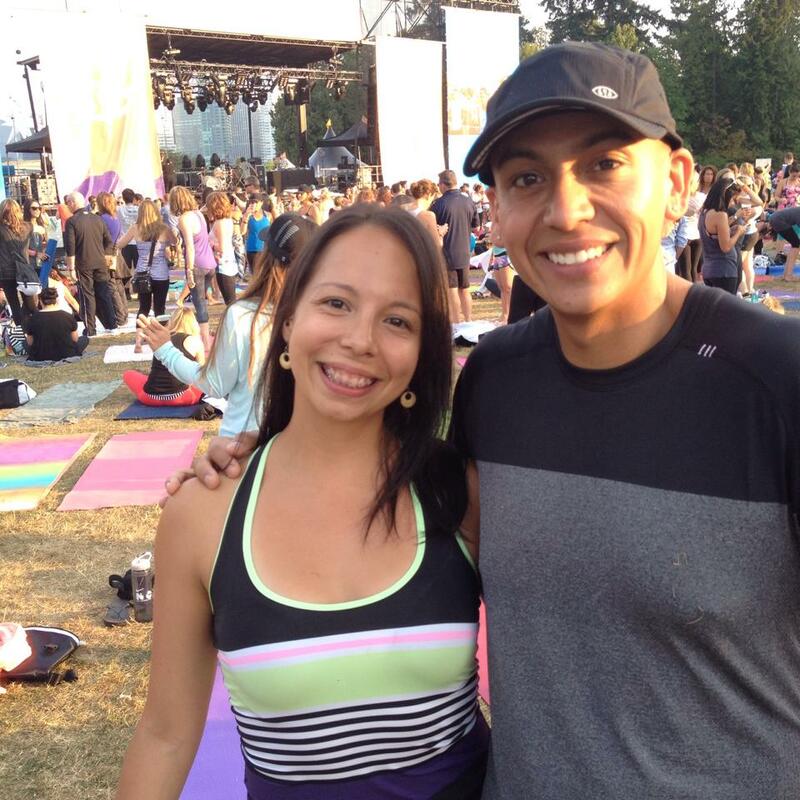 This entry was posted in Inspiration and tagged exercise, fitness, goals, half marathon, health, inspiration, marathon, motivation, running, seawheeze, sweat pink, vancouver, weight lifting. Bookmark the permalink. Thank you! I’m glad you like it. I’m really looking forward to sharing their stories! I saw you made a lulu Mickey shirt. How much do you charge? I did not make the Lululemon Mickey shirt unfortunately! My friend Richard who I featured in the post had it made for him I believe. I know there are Lululemon locations that will custom make designs and products for you!